In preparation for Haven, I designed and had my blogger business cards printed. Because I hear that bloggers give other bloggers “their cards”. Fancy. I put all my necessary information on the front with a pretty chevron print from Sprik Space, and I used the new logo Joy designed for me on the back. I could have jarbled up the front with my facebook page, Instagram username, Pinterest page, QR code, and my blood type but I decided to keep it simple for now. I had Vistaprint print them on their premium matte stock. The first batch of 250 cards they sent me had some minor printing imperfections so I called their customer service department. They ended up sending me another 250 cards for free. So I technically got 500 cards for $36. That includes the 7 day shipping (which was actually 3 days) I paid for the first batch of cards. Why yes, I did white out my last name. Only those who ask for my business card at Haven will know my true identity. Muhaha. Fingers crossed they don’t Google my name because it’s pretty rare, and I share it with only one other person who just so happens to be a criminal. Awesome. I figured I would need something to keep the cards contained inside my bag. Because, you know, rubber bands aren’t the classiest. 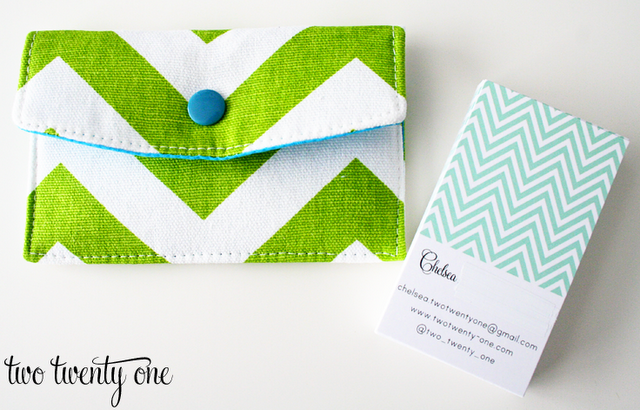 So I purchased this cute little business card case from Baffin Bags. 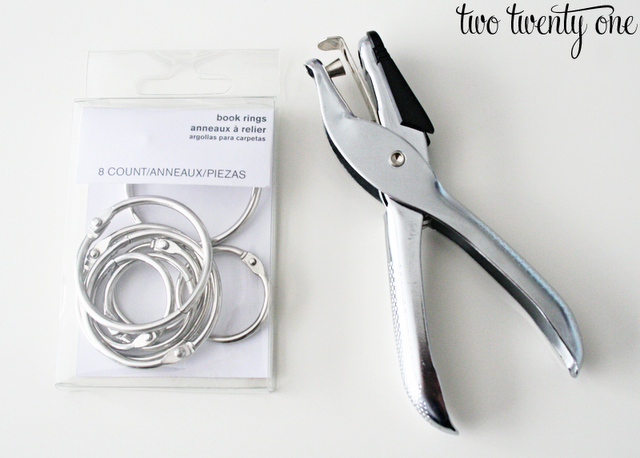 I saw on another blog to bring a binder/book ring and a hole punch to organize all the other blogger business cards I’m supposed to collect. Wouldn’t it be sad if I came home with 5 business cards? Uh oh, one more thing to worry about now. Are you going to Haven? Do you have blogger business cards? Any blogging conference tips for me? I’m so jealous that you get to attend with pretty business cards. The part of me with social anxiety disorder is glad I don’t have to spend my night freaking out. You will rock Haven. Can’t wait to hear all about it! I’ve been meaning to make business cards for awhile now, but I just don’t have the time or patience but your business cards are absolutely adorable! Have fun at the Haven! These are super cute! Have an amazing time! Love your business cards. We use VistaPrint too…their customer service has been great! Love the cards! You’ll rock the conference. They’ll make you Conference Queen and all shall love you and despair. (You’re probably not nerdy enough to know where that quote comes from, huh?) Have fun! Your business cards are adorable! Have fun at Haven! I’m super jealous! 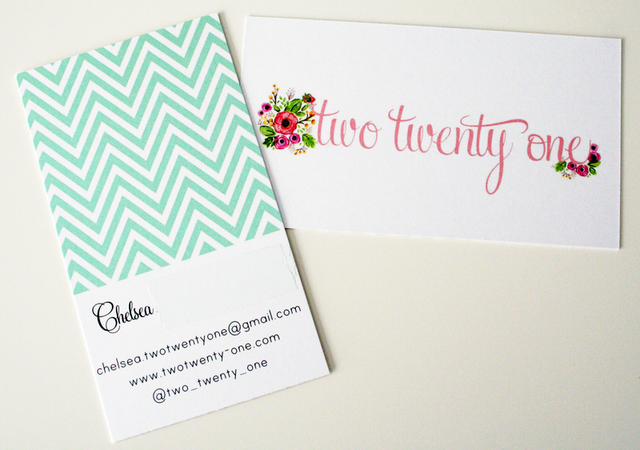 Cute cards, Chelsea! Have fun at Haven! Looking forward to meeting you at Haven! Your cards are so cute! Mine are totally plain and boring. But it’s going to be so much fun! Have fun!! Cute card bag and cute cards!! They – and you will be a hit!! These are the cutest cards! And that PURSE. Oh my. I might be drooling a little bit over it. 😉 So chic! I can’t wait to hear about Haven! I hope you are having a BLAST! So fun to finally meet you 🙂 I wish I would have seen the binder ring holder trick before Haven! How did it work for you?